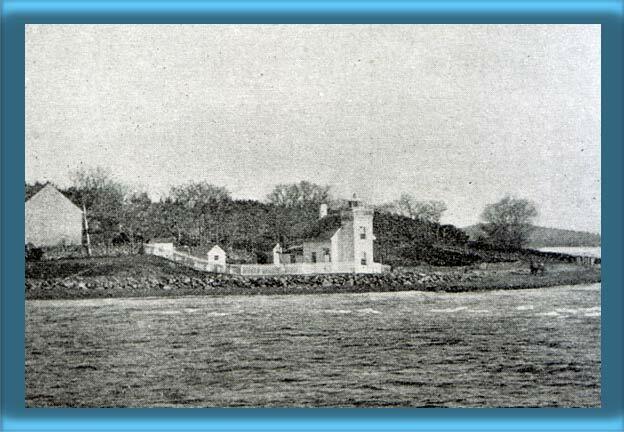 In 1853 a petition was sent to the Lighthouse Board requesting that a government lighthouse be built at Bristol Ferry, a narrow strait that connects Mount Hope Bay and Narragansett Bay. The Old Colony Steamboat Company maintained a wooden light tower to aid its ships through the strait, but it was weak and unreliable. One of its signers, William Brown, Master of the Steamer Bay State, felt so strong about the need for a government light that he wrote a letter to the Lighthouse Board. In it he stated, "There is probably no locality in the country, certainly none within my knowledge, where a lighthouse is so needed." 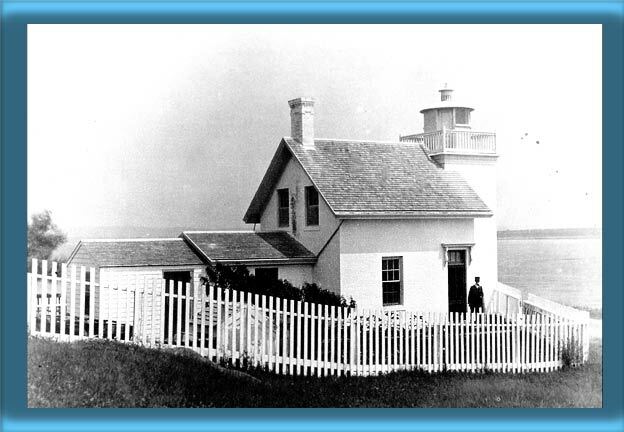 Within months of receiving his letter, Congress appropriated $1,500 build the lighthouse. Bristol Ferry light, a square brick tower and attached keeper's dwelling, was completed in 1855 and was first lighted on October 4. It was built fifty-three feet northwest of the old light. An inspection in 1916 found the wooden lantern to be in such bad condition that it had to be replaced. An iron lantern, from the discontinued Rondout light in New York, replaced it. Bristol Ferry Light was discontinued in 1927 when construction started on the Mount Hope Bridge. The lantern and Fresnel lens were removed when the lighthouse closed. A light on a skeleton tower replaced it. Mount Hope Bridge was completed in 1929. The skeleton tower was removed in 1934. In 1929, the Bureau of Lighthouses held a public auction to sell Bristol Ferry. The bids were opened on April 4. Anna Santull placed the highest bid, $2,050. This was well below the property's estimated value of $3,900. The Bureau of Lighthouses accepted her bid because the property had been heavily advertised and it was doubtful that readvertising it would have brought a higher bid. After years of disrepair, new owners renovated the lighthouse in the early 1990's. During the renovation a new mahogany lantern was placed on the tower. In May 1999, Bristol Ferry was put up for sale, with a $469,000 asking price. See more of Bristol Ferry Lighthouse in Rhode Island Lighthouses: A Pictorial History by R Holmes.